The European Union is undertaking this initiative to collect structured data about the innovation profile of research projects, through the so called Innovation Radar, whose goal is to to identify high potential innovators and innovations within EU funded research projects and to identify their specific “go to market” needs. ROUTE-TO-PA project has delivered two major potential innovations that we, as a Working Group, have identified as follows. 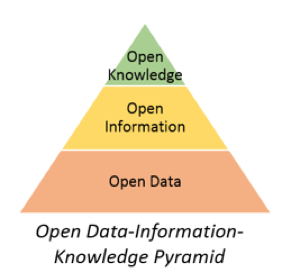 Data layer: The Transparency-Enhancing Toolset (TET) is the next-generation open data portal containing set of tools that facilitate a better understanding of the data by providing connections and links to related datasets, and providing information about provenance. Social Collaboration Layer: SPOD (Social Platform for Open Data) enhances transparency by enabling users to socially interact over open data, by forming or joining existing online communities that share a common interest and discuss common issues of relevance. Presentation Layer: through this layer users are able to create rich, reusable visualization of open data making open data more transparent to all citizens. ROUTE-TO-PA ensures citizen-friendly, conscious and effective access to open-data, by offering easy understanding of, and social collaboration on, open data offered by PAs. The unique value proposition of the ROUTE-TO-PA platform is the enhancement of government transparency by making open data more accessible while in parallel engaging citizens in the process of co-creation. When used together, SPOD (social collaboration layer) and TET (data layer) enable citizen-users, with their Public Administrations, to discuss around open data (using visualisations), to better understand data and thereby change the degree of transparency of Public Administrations. The above mentioned innovation is combined with a scenario based approach for preparation and use of the Social Platform. In fact, offering potentially good technology and manuals is not sufficient for successful implementation. Therefore, our service offer also includes a scenario-based approach for preparation and use of the tools. This approach is based on instructional design, but does not prescribe in detail every step a participant of the scenario is supposed to do. f what is feasible in a particular context. port, maintenance, consultation, training etc. FREE version: an online version of the ROUTE-TO-PA platform where anyone can register and use (available at: http://spod.routetopa.eu and at: http://tet.routetopa.eu). It is a fully functional installation, and anyone can login, create communities, upload datasets etc. BASIC version: the open source code available at the ROUTE-TO-PA Github account. The Basic version of the ROUTE-TO-PA platform is open source and available at the following GitHub account: https://github.com/routetopa/. Installation and deployment of SPOD and TET to a desired url. Customised layout (colours, fonts etc.). Upgrades to new versions (new versions are updated and include social platform, plugins and cumulative bug fixing and every new feature that will be developed by the ROUTE-TO-PA developers). support is provided at extra fee. Remote personnel training (8 hours). GOLD version: the paid professional services including deployment, customization, support, maintenance etc. In the GOLD version the ROUTE-TO-PA platform is extended based on the customer’s requirements. SilverDecisions is an open source (https://github.com/SilverDecisions/SilverDecisions) and browser-based software for creating and analyzing decision trees available at http://silverdecisions.pl/. It allows user to build a tree via a graphical interface; copy-paste makes it easier to represent more complex problems; variables can be defined and used to increase flexibility. The outcomes of each policy can be presented graphically. The user can also inspect different decision making rules and analyze how they influence the outcome for each strategy. Finally, SilverDecisions enhances inspecting the impact of how the pay-offs are evaluated; for example, in multiple criteria problems the user may define a range of values measuring the trade-offs between individual criteria, to understand the impact of own preferences on the recommended behavior. Moreover, SilverDecisions enables to perform a sensitivity analysis of a considered scenario. When a decision is made under an uncertainty, used probabilities or outcomes are usually only estimations. In order to make a better decisions it is relevant to check how the changes of those parameters affect the optimal strategy and final expected outcome. SilverDecisions supports two ways of conducting a sensitivity analysis: N-way and probabilistic sensitivity analysis. In both any number of global variables can be changed. In N-way sensitivity analysis each variable is changed by equally spaced values. User need to define a minimal and maximal acceptable values of the variable and a length of a sequence. Then the software will automatically create the proper points and solve a decision tree for all of them. In a case of a probabilistic sensitivity analysis variable values are not equally spaced, but drawn from defined probability distributions. SilverDecisions provides several default random variable generators such as Uniform, Normal, Exponential or Binomial distributions. The results of the analysis can be presented as pivot table and can be saved in CSV. By default, pivot tables present policies in rows and variables in columns, but the layout can be customized. Another possible ways of presenting the results are Tornado diagrams and Spider plots. All described above features of the SilverDecisions were prepared to satisfy two goals. Firstly, SilverDecisions was conceived as a user friendly tool, which can be used by a people without a strong mathematical background. Because of it, SilverDecisions could be a brilliant supporting device in a teaching of a decision making even at the high school level. Furthermore, despite its simplicity it is still a powerful software with many features that might be used to support a decision making and its analysis by both, public administration and private sector professionals. The main users of SilverDecisions are student at business universities (the software is taught at MBA and decision making courses around the globe), pharmaceutical companies (the software can be used to illustrate various drug treatment scenarios), attorneys (analyze and discuss with their customers various outcomes of a trial), corporate and public administration decision makers (analyze, communicate and explain decision problems). The educational users expect free software (this also helps the software to gain its popularity) while other customers groups are willing to pay to use our services. Additionally, since SilverDecisions is modular, we have observed an interest in using SilverDecisions’ components in other software products. One of such examples is embedding SilverDecisions inside SPOD platform. Companies interested in embedding SilverDecisions’ components in their commercial offerings require a commercial grade support for such process. Professional services where our customers will be offered services such as support, maintenance, consultation, training etc. BASIC version: the open source code available at the SilverDecisions Github account. The Basic version of the software is open source and available at the following GitHub account: https://github.com/SilverDecisions/SilverDecisions. Installation and deployment to a desired url. Upgrades to new versions when they are released over Github. Technical support (email and Skype only). Extra technical support is provided at extra fee. Decision tree training (including software and decision science) – one day for a group up to 10 people.